Just as you pour yourself into the planning of your ceremony and menu, what you pour into your glasses for your first wedding toast is a significant a statement about your tastes and values. So how do you choose the perfect wine for your wedding reception? What do you need to know? Ron Porter, sommellier for Organic Wine Company, breaks it down into some simple steps: Keep it Friendly Wedding wine should always be comprised of “friendly” selections that are easy to drink, as you generally have no time to allow the wines to breathe. Schedule a Tasting Consider hosting your own wine tasting event with your wedding party. Ask for recommendations online or at your local retailer and choose a variety to set aside in order to give yourself options for the best possible pairing. Next, let your caterer know in advance that you plan to taste the wines when you sample the menu. Ask the caterer to also provide suggestions. Certain wines complement different foods of course, but not all red wines are the same. By intentionally sampling different reds with the food, you can find the wine that brings out the most delightful flavor in the course. Conscious First Sip If you are providing vegan and organic foods, don’t forget to offer comparable vegan and organic wines. Your selections reflect your values and also demonstrate how important the values of your guests are to your heart. What is Organic Wine? Organic wines are made with organically grown grapes, so they are produced without pesticides and in harmony with humans, bees, and the planet. What many people do not realize is that conventional wine grapes receive even heavier applications of pesticides than table grapes, which made The Environmental Working Group’s dirty dozen. The EPA has actually found 34 different pesticide residues in these wines. We don’t know what this combination is doing to our health, because no one has tested it. What we do know is that pesticides ingested at certain times in someone’s life can negatively and dramatically affect the health of a person forever, sometimes causing cancer and chronic illness. It impacts our future children too. The US National Library of Medicine has also linked reduced birth weight of infants to pesticides in cord blood. It’s all the more reason to pick a wine carefully. Choosing to drink organic wine on the first day of your forever together is a wonderful way to honor the heart and health of your new family. Is Organic Wine more expensive? It is much easier to find affordable organic wines this year than ever before. Not all organic wines are equal, but Ron recommends the Perlage Pinot Grigio (the screwcrap is a blessing to the servers) and the red Frelin Cote du Ventoux or any Marouette wines. Both Frelin &Marouette are priced well and easy to drink. Will a bottle of Organic Wine last until my anniversary? Not necessarily. NSA (no sulfite added) wines do not have as long a lifespan as other organic wines. However, contrary to the myth, only 1% of the population is allergic to sulfites. You can find a beautiful selection of great-tasting, carefully-made wines from organic grapes that include sulfites if you desire to save a bottle for your anniversary. Bride’s family provides a $10 bottle of wine + $15 corkage fee = $25 per bottle of wine served. Caterer provides a $10 wine and charges $20 to serve. In this case, it is less expensive to order through the caterer. Bride’s family provides a $20 bottle of wine + $15 corkage free = $35 per bottle. Caterer provides a $20 bottle and charges $40 to serve. Here it makes more sense to order through the caterer. 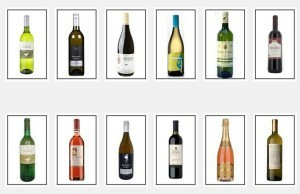 Many organic wines are available in both situations.